Traveling to Iga, in Mie prefecture, is an easy though interesting one-day trip from Nagoya. 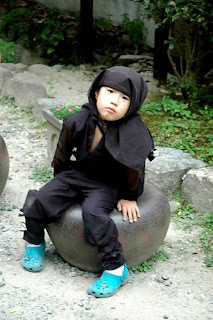 Iga was famous for being one of Japan's leading ninja schools. 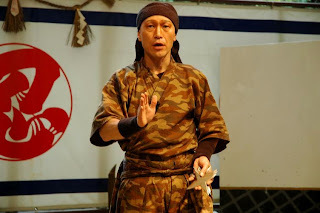 Ninjas were basically spies and assassins that were able to use lots of techniques and tools. The town of Iga itself was quite nice. A typical Japanese village with Japanese style houses, boys going to high school, just like in the Anime Captain Tsubasa ;). 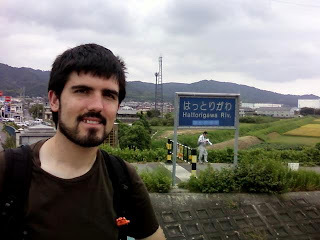 The village is crossed by the river Hattori, which is a name of a famous Samurai (Hattori Hanzo) and also the legendary sword maker in Tarantino's movie Kill Bill. 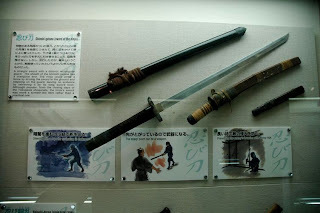 By the way, it is also the surname of my Japanese sensei hehe. 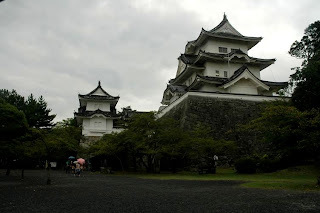 When it started raining we went to the Iga Ueno Castle. It was not that interesting after having seen the one in Himeji. 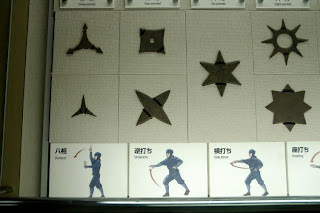 The main attraction of Iga is its Ninja museum where they explain the tricks that Ninjas used to do, the tools they used, etc. 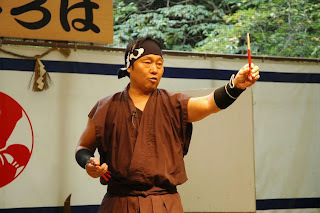 At the end of the visit there is a show where some actors throw shurikens and other Ninja tools. 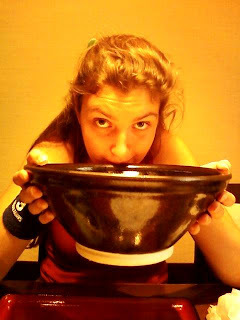 Check Maria's post about our visit to Iga!